Our Journey in a Volvo. Sweden and beyond. Volvo Overseas Delivery is by far the best way to buy a car. Matt and I are heading to West Sweden, and exploring Gothenburg and the surrounding area all the way to Göta Kanal with a brand new Volvo XC90 Inscription for over a week starting next week. This trip is done in a partnership with Visit Sweden, West Sweden and Gothenburg tourism boards, and with Scandinavian Airlines and Volvo. There are no words to describe how excited I am about this trip, and there are a few firsts for us. This will be actually our first time ever that we are leaving the country together and leaving the kids behind (and I am nervous about it). This is a third time in the past 16 years that we have asked my in-laws to babysit our children for overnight, so we can embark on this trip (once in NYC, and the second time was last fall when we attended the Young Living convention in Dallas for two nights). It’s kind of a big deal. Usually I travel alone, or we travel as a whole family. 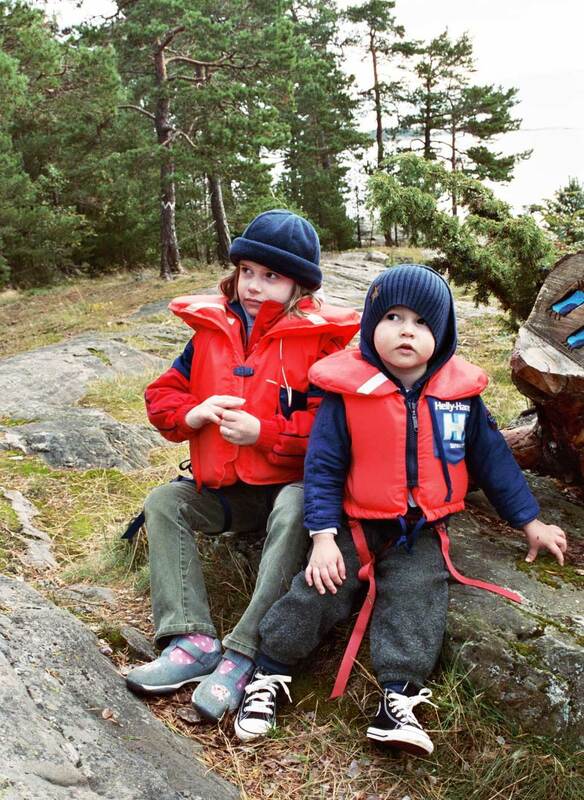 We also have never truly visited West Sweden nor Gothenburg before, so we are excited to explore it more. 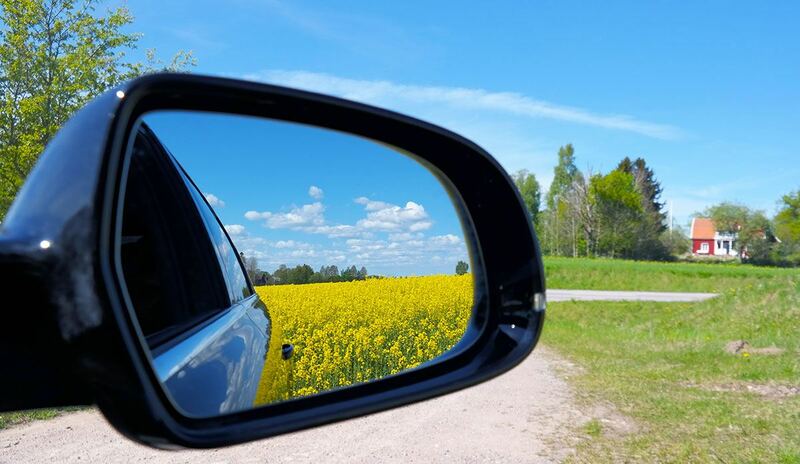 More importantly maybe are the things that are not first for us, so I decided to show you a little bit of our story and how we have been a Volvo family all along – and as you probably know, we love Sweden so much that we even lived there for three years. I grew up in Finland, and my parents had a blue Volvo when I was born, then they got the orange one. When you are a kid, that’s really what matters. That the car is a Volvo and what color it is. As growing up, it was just common knowledge, that Volvos are the safest and the best family cars. So.. a Volvo family we were. It was very different for Matt. He grew up in Texas. When I got pregnant with our daughter Isabella (in 1999), we had two cars, a sporty hatchback BMW and an old beat-up VW Jetta. The baby and all that gear were not going to fit in the small BMW, and no way I was going to drive the old Jetta with a baby onboard. I had to have a Volvo station wagon! “It’s the safest and best family car” – right? We lived in Germany, but knew we were moving to the USA soon, but luckily we heard about Volvo Diplomat & Expat Sales program, and we ordered a brand new Volvo. The Volvo arrived only a few days before Matt left for his deployment in Kosovo. Then it was just me, the dog, my big belly – and the Volvo. I was 6 months pregnant, and didn’t want to stay alone in Germany, so a friend of mine, Petriina, flew to Germany and then drove with me to Finland. We drove from Northern Bavaria to Northern Germany and took a ferry to Helsinki, Finland. It was right before Christmas, and not really the cruise-kind of a weather on the Baltic Sea. It was kind of a sad trip, even though I laughed on that trip more than ever. Sad, because my husband had just left for a war, I had our first baby in my belly, and I was scared as hell. 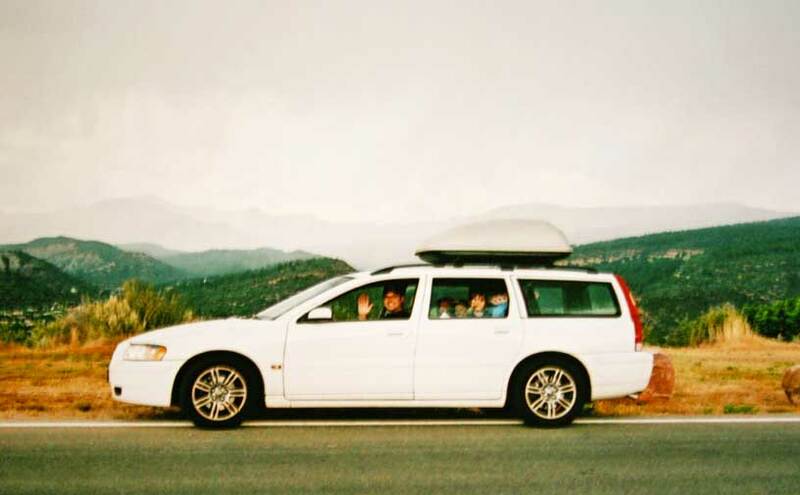 But the station wagon, and the dog in the back gave me hope, and in a way… it was our first family road trip in a Volvo. I laughed so much, because I didn’t want to cry, and I was 24 and my life was ahead of me. Then it was 2000, and Matt came to Finland from Kosovo to welcome our first baby into the world. This photo was one of the “you need to shovel the snow, what if the baby is born today and we need to drive to the hospital”-moments. Typical spring day in Scandinavia. And NOW you understand why a safe car known for Scandinavian excellence for winter driving was so important to me. Then Isabella was born, and we were officially a family. 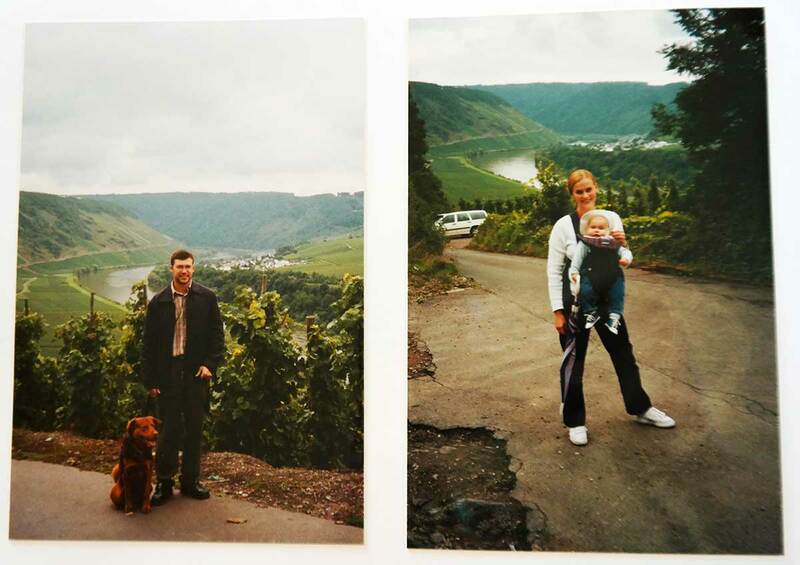 Our love story had started in Germany only a few years before, and now we were a family. We took our small family and the new Volvo for road trips all the time. 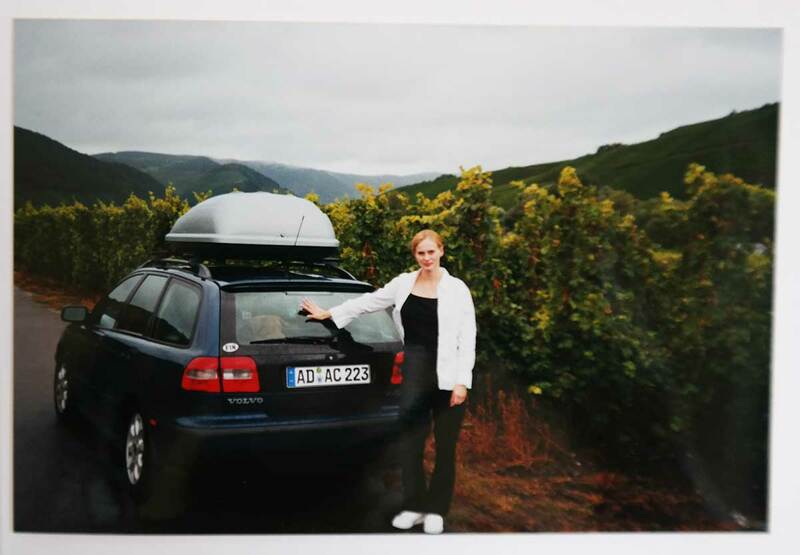 Whether it was just in Bavaria, or back to Finland to visit my family, or to explore the many wine regions. The Volvo Diplomat & Expat Program had not just allowed us to order a brand new US-specs car in Germany, use it in Europe first, but part of the deal was that they also shipped it to the USA for us. Yes, the shipping was even part of price, because when we left Germany, we actually shipped two cars to the USA. 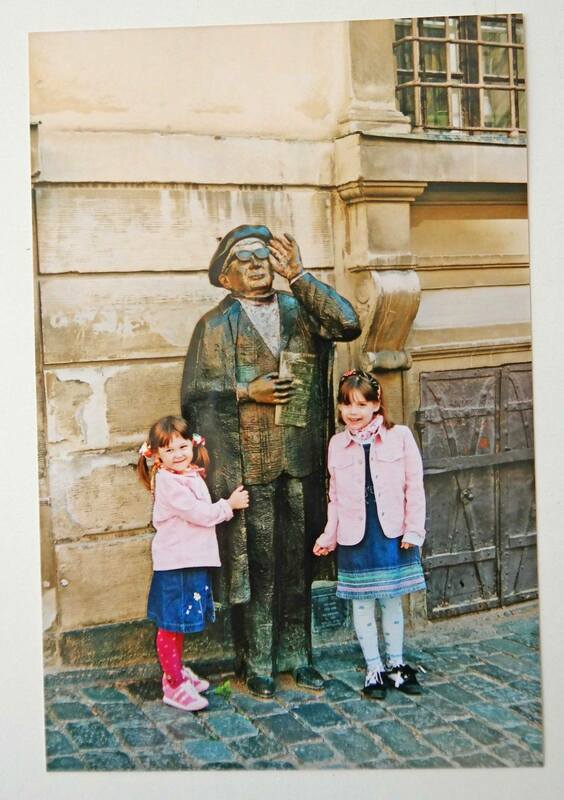 Before we left Germany though… our family had grown with Gabriella, she was born 6 weeks before our move. We shipped our Volvo to Texas, and spend a few weeks there before heading for across-the-country road trip in the USA. Matt had to do some training in Alabama, we did a road trip to Disney World, and then finally were on our way to upstate New York. I think it was Disney magic, because for some reason… I was pregnant again. Girls were growing, and our family grew with Kristian. We still kept the Volvo, because I didn’t want to let it go, but for a few years while we had three kids in car seats, a dog, and double stroller in use, we had to buy a bigger car for us. But after two years of mandatory Ford Expedition-driving, I read about Volvo’s integrated child seats and was sold. I NEEDED another Volvo, and the Ford just had to go. Then I started reading about the Volvo Overseas Delivery. Matt was now out of military, and we had moved to Cleveland, Ohio. See this little nugget? 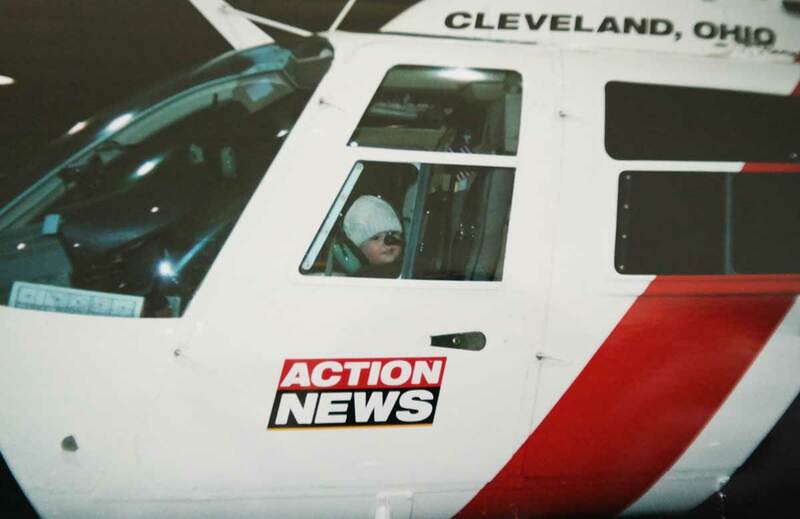 It’s Kristian inside the helicopter Matt flew at the time. So a newsflash… Volvos are not really the cheapest cars, but like with everything, you get what you pay for. Even though we had three little ones, and we had just bought our second house in Ohio, and were starting our life outside the safety net that the US Army provides, I knew that road safety was not one of those things I was willing to gamble with just for the sake of saving money. Quite frankly, I think Volvo means more luxury to me today, than it did back then. Wanting a Volvo had very little actually to do with the “luxury car” status Volvo might have. Where I am from, everyone drives Volvos, and Volvo means safety. 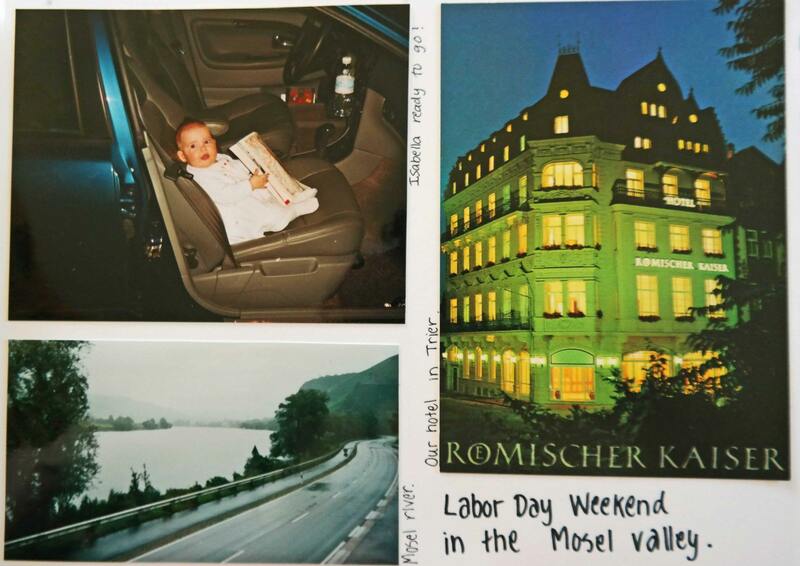 It was early 2005, and we hadn’t been back to Europe since 2003, when Kristian had been just a newborn. 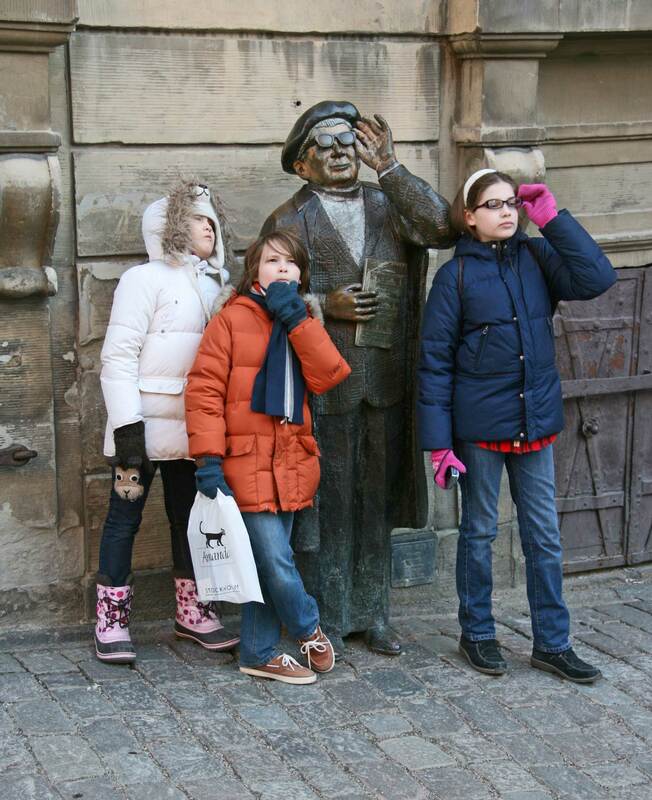 Trip to Europe wasn’t about luxury travel either. I missed back home, but had no idea how we could afford to buy a new car AND go to Europe as a family of five in the same year. Or well, ever, quite frankly. This is a picture from the 2005 trip back to Europe and pretty much describes what I missed. It was taken from my dad’s boat. This is my Scandinavian luxury. So yes, I read more about the Volvo Overseas Delivery and found our solution to make both happen in the same year, purchasing a new car AND a trip to Europe. Score! Please check with the program for specifics, but here is how our purchase story goes. We ordered the car three months prior the scheduled pick-up. We had a hard choice to make, we had to give up one car to trade in for the new Volvo. It wasn’t really even a real question, we still decided to keep the Volvo V40, and the Ford Expedition got to go. Yes, it was slight inconvenience to live three months without the second car. Matt compensated it by driving his Aprilia Mille to work on sunny days, so it ended up working out pretty well for him. We also had to make our first car payment for the Volvo prior our trip. The fact that we had to give up our trade-in car that long ahead of the time, the order process takes a long time, and that we had to start making car payments before actually having the car on US soil were slight inconveniences, but truly the only bad parts of the entire deal. Volvo pays two flight tickets to Europe with SAS, Scandinavian Airlines, so we scored two free flights back home. The price of the car was also slightly cheaper because we chose the Overseas Delivery. The typical Overseas Delivery experience takes you to Gothenburg, Sweden, to Volvo Factory (and we will actually get to experience it next week). However, you can choose to have your new Volvo delivered to several other authorized Volvo dealers around Europe!! There are also a few shipping ports in Europe, where your new car can be shipped to the USA. Our first Volvo was shipped from Bramenhaven, Germany. This time: we ordered our new car to be delivered in Helsinki, Finland. 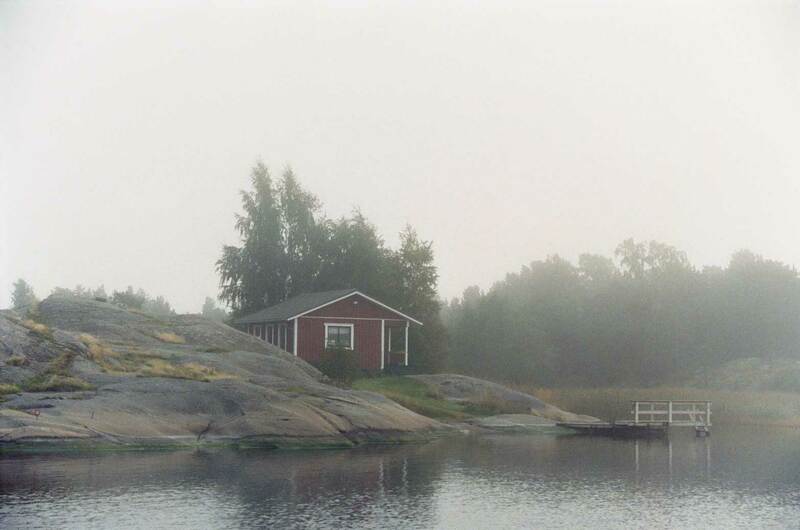 We visited my family in Finland, and then continued for a trip to Stockholm, Sweden. 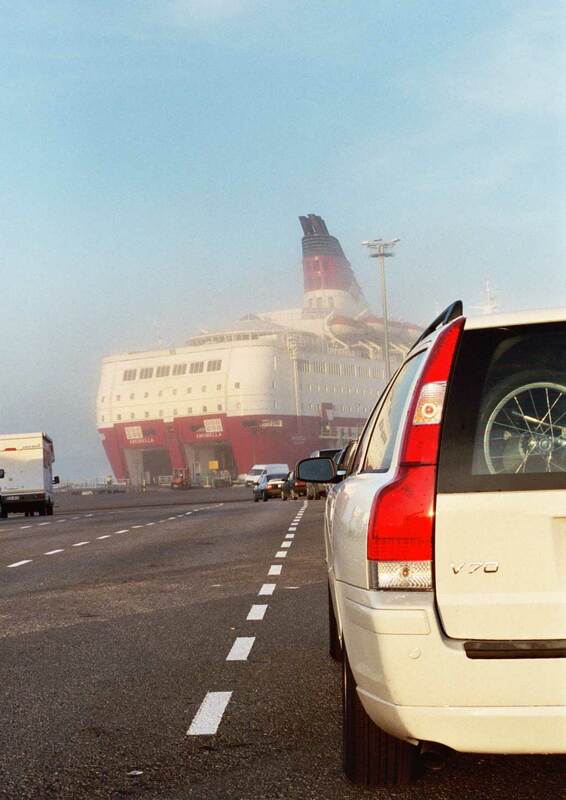 Here it is, our new Volvo V70 getting ready to get onboard Viking Line to go to Sweden. We were so excited about our first trip as a family to Sweden! 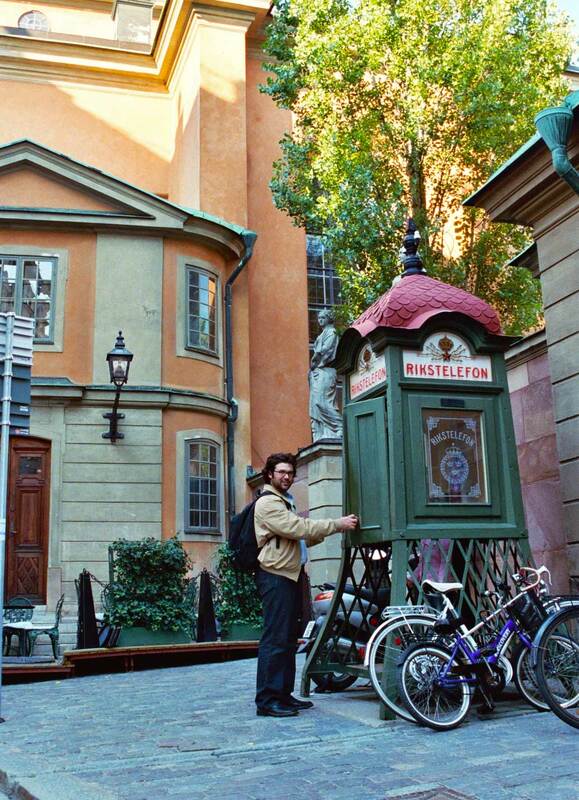 We took tourist photos in Stockholm, and swore… one day we’d come back when kids are older. It took about 5-6 weeks for us to finally get our Volvo from Sweden. Yes, we were paying for the car we couldn’t drive, and it was now fall time and driving the motorcycle to work wasn’t really an option. But yet — it was so worth of it all, and I would do it the exact same way again. We only lived in Ohio for a year, then we moved to Tennessee for six months, and then to Colorado for three years, and then did a three month long road trip from Colorado to New York. All with that Volvo V70. 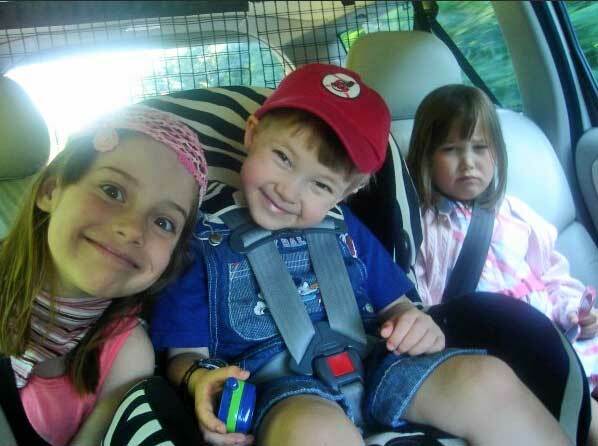 I could show you some great family pictures from those times… but a lot of the reality is summed up in these ones. Us sometimes literally driving by our moving truck, on our way to a new place. Lots of road trip moments like this – all of us laughing so much that I could not even keep my hands steady to take a picture. By the way – the dog net keeping everything safe in the back of the car is one of the other safety features I love about Volvos. Also, lots of moments like this, when some of the kids are still happy, but some not so much. But hey, she was safe and sitting on the integrated child seat, instead of car seat, so she truly should have felt lucky! We actually did lose some of our family pictures. 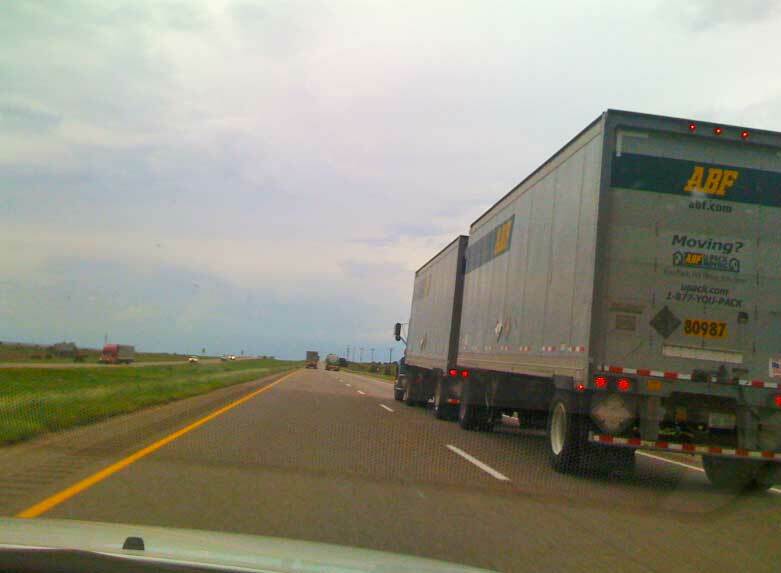 On our move from Colorado, we were in Albuquerque, New Mexico, and our Volvo was broken into. We lost a laptop bag, and with that went three years of digital family pictures. We also realized that getting a new side window to a Volvo was not as easy as we thought. We had to stop our road trip for three days to wait for our car to get fixed. But of course I have one picture of the Volvo in Colorado mountains. In Colorado Matt worked as a rescue helicopter pilot, and during the time our trusty Volvo got a nickname “uterus” from the paramedics. These were the guys and the girls who would fly out to accident scenes to rescue people. They said they always ask which car people were driving, and every time they heard it was a Volvo, they had hope. They said it is incredible how Volvo protects people, just like uterus does. All cushioned in, whatever happens. Maybe Matt was a little bit taken back that he was teased because he was driving a Uterus, but me? I loved it. That’s exactly how I wanted to keep my babies safe. 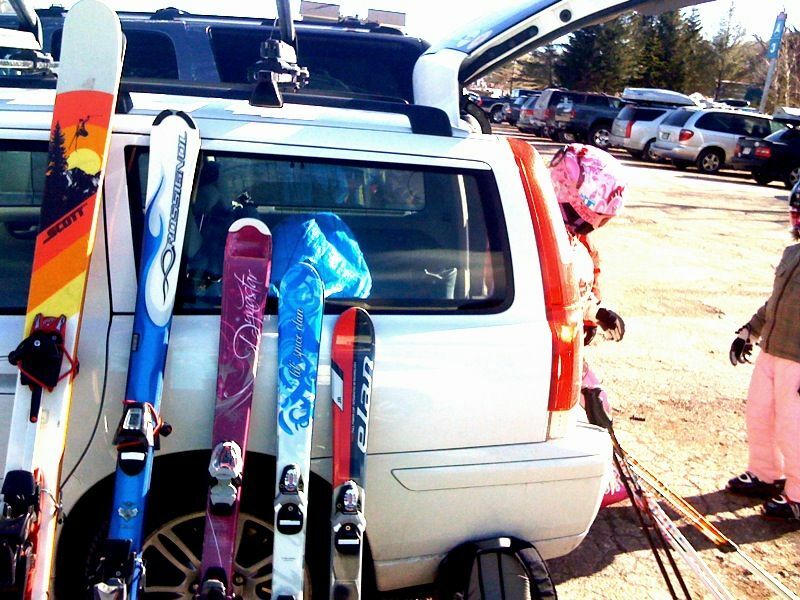 Thanks to Colorado years and kids getting older, we actually realized what a great family ski car the Volvo V70 also was. 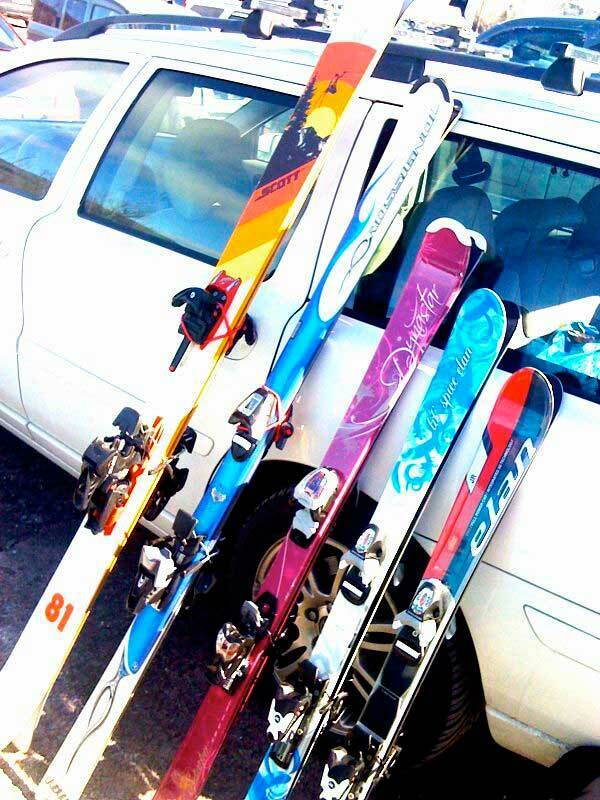 Here is actually the best part, kids could easily sit on the trunk while we helped their ski boots on and off. Damn, I miss those times. And thanks to the Volvo-trip we had all already been to Sweden. I almost cried when I sighed “YES” to moving to Sweden. And ironically, the hardest part about saying yes to moving to Sweden was to be forced to sell our V70! I had big plans for that car. 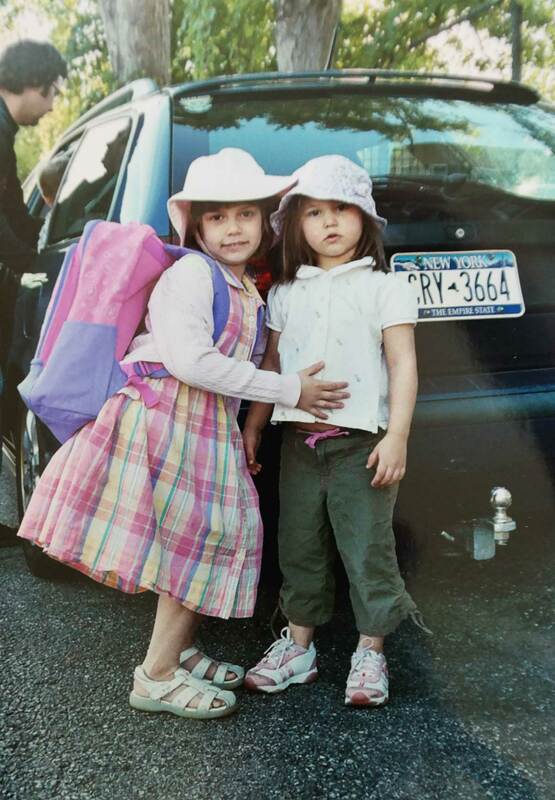 It was a 2006 model, and my big plan was that when Isabella turned 16 in 2016, she would have gotten the car. Ten years on it, it’s nothing for a Volvo. Anna, our dear friend from Ohio, remembered the car, and she flew to New York to buy it from us. Isn’t it funny how life works? 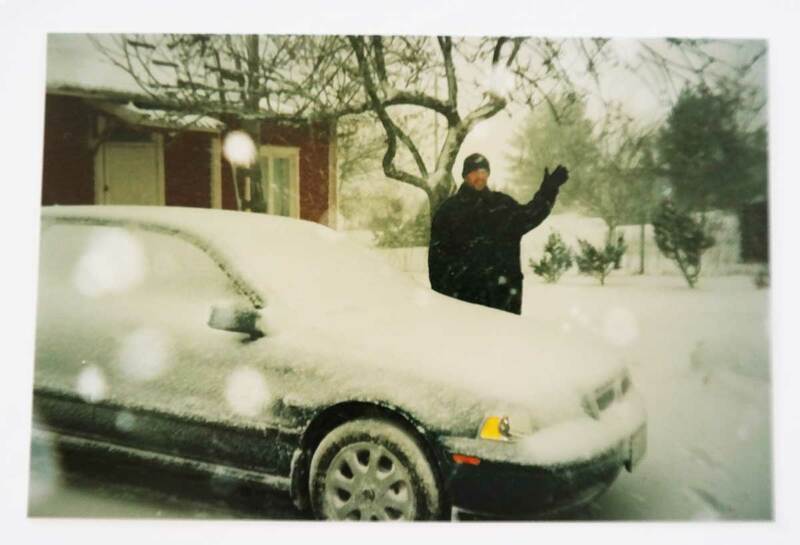 The car we bought from Sweden while living in Ohio, returned to Ohio, as we left to Sweden. Three incredible years in Sweden, and so many amazing memories. 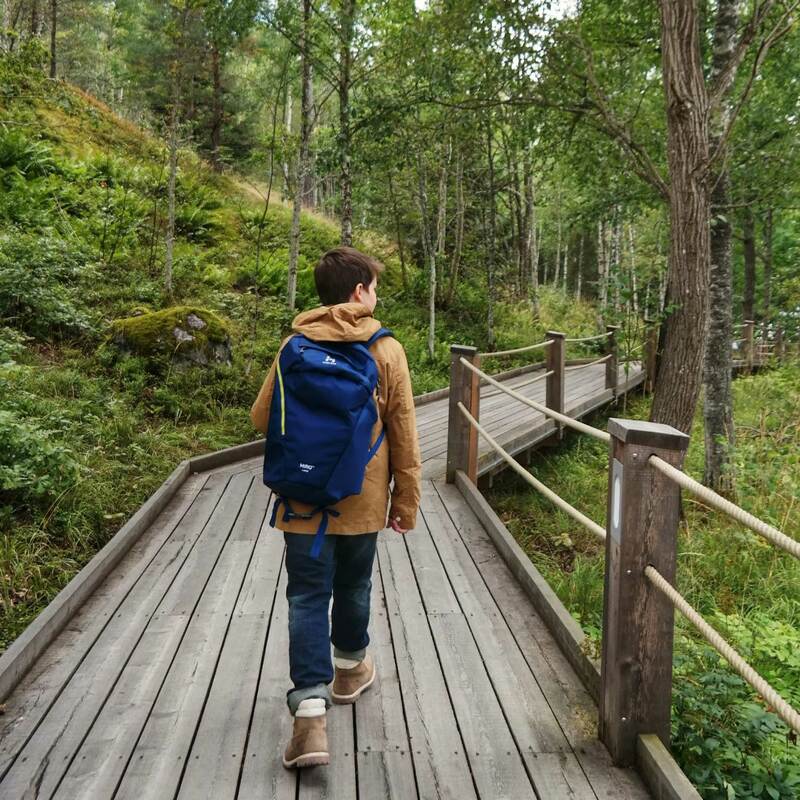 While the driving a Volvo is only one part of this trip for us — it is a perfect reason for anyone who is on the market for a new car, to also visit Sweden for the first time. 2000 words later, maybe you can understand my excitement about this trip. It is one of those trips that so perfectly describes us, and what also Skimbaco stands for. You might remember how last year one of my favorite trips was to Newport, Rhode Island – where I sailed one day in the Volvo Ocean Race with the Swedish all female SCA team. No, really, I did. 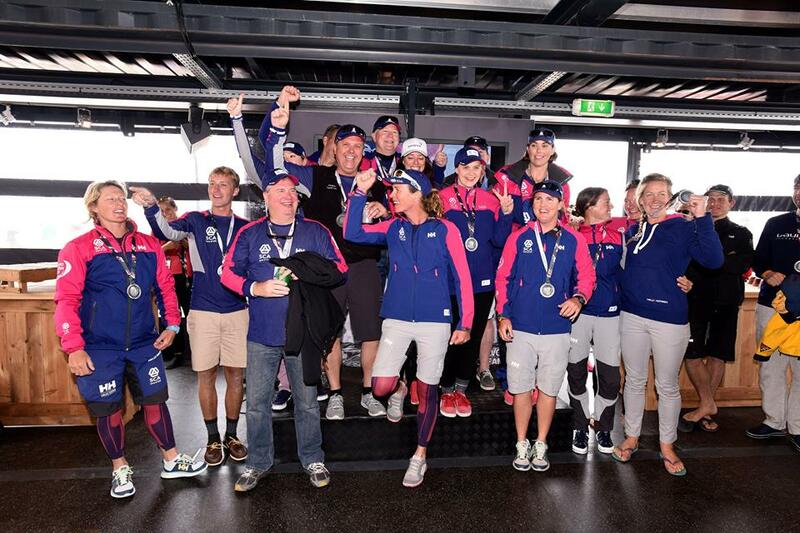 I am in this picture holding a medal, because I was part of the 40 minute port race and got a medal for the port ProAm sailing race as part of the Volvo Ocean Race. This is what kind of Volvo & Sweden fan I am! I’m looking forward going to back to Sweden next week, and to see more of West Sweden and Gothenburg. And can we be just honest…? I am also extremely excited just to go to Sweden to EAT. I miss the Swedish food so much, and can not wait to eat around West Sweden. 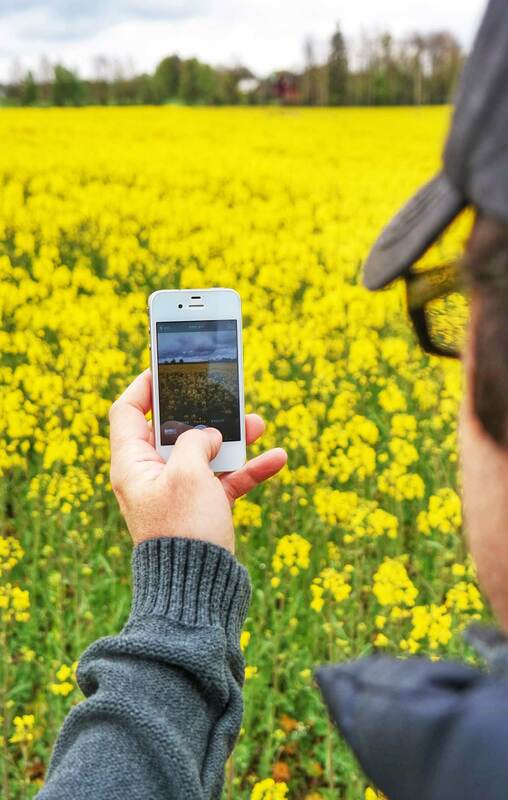 The local food scene in Sweden is incredible, and we have missed it so much. And above all, I am happy to have my husband Matt with me. He makes a pretty good partner in blogging, although he is usually on the behind the scenes. If you read this far, I know you will want to follow our trip. I promise than the photos will be better than the old ones in this post. WOW what an adventurous life and so many memories thanks to Volvo! I am sure your trip to Sweden will be amazing, it’s a beautiful place I hope to visit someday! I am so jealous. kid free trip with great company and an awesome car in a beautiful country. Can’t wait to follow your trip! It was incredible! Now I want to move back to Scandinavia! And buy a new Volvo! Such a great summary of Volvo! My in laws have always had a Volvo and once flipped their car in the winter. All people hanging from seatbelts walked away from the accident. Last fall I actually had the amazing opportunity to go with them on an overseas delivery of their first brand new Volvo. I have family in Sweden so stayed with a cousin in Gothenburg and got to visit my ancestral home in Skara. It was a dream trip! That sounds scary about the accident, but thankfully you were driving a Volvo! And so cool you did experience the Overseas Delivery! Volvos are great cars. 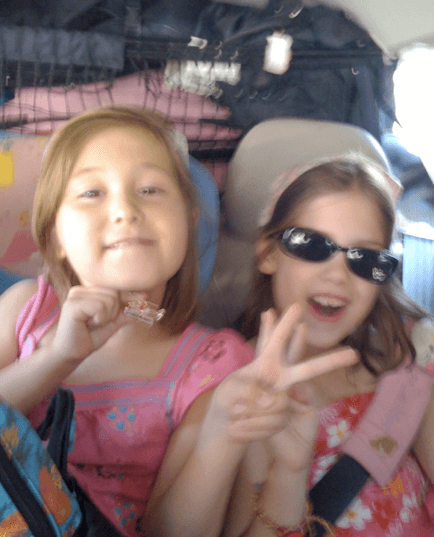 When we upgraded to a 7 seater, we went with a XC-90 and it’s a joy to drive. We also had the XC-90 as our rental car in Sicily. Very comfortable for road trips but a little big for the tiny Sicilian streets. My husband wound up scraping it and we had to pay for damages. oops. Oh no about damaging the car!! The XC-90 is so nice! I loved seeing all the old photos of your kiddos! I’ve always wanted a Volvo but never owned one. Someday… Have a great trip! Thanks! You would love a Volvo since you love Scandinavian design.